Gov’t Mule have announced a special run of September U.S. tour dates with American rock pioneers ZZ Top. Influenced by their trailblazing career, Gov’t Mule will share the bill with a band that helped inspire their own musical journey as they forged the path to becoming legendary rockers in their own right. The tour dates will run from September 9th to 20th and will include stops in Wantagh, NY at Jones Beach, Bethlehem, PA at Sands Bethlehem Event Center, Baltimore, MD at Pier Six Pavilion and Kansas City, MO at Starlight Theatre. Pre-sale tickets for the tour run will be available Wednesday, May 18th at 12pm ET and go on sale Friday, May 20th at 10am local time. Full tour routing below. For ticket info, please visit www.Mule.net. The news comes on the heels of the band’s announcement of a new archival album entitled The Tel-Star Sessions out August 5th via Evil Teen Records which features a cover of ZZ Top’s“Just Got Paid.” PRESS HERE to listen to the first taste of the album which premiered viaConsequence of Sound. The LP consists of the band’s very first, and never-before-released, demos made in June 1994 at Tel-Star Studios in Bradenton, Florida. These newly mixed and mastered recordings feature the original line-up – Warren Haynes, Allen Woody and Matt Abts – and capture the rawness and excitement of the earliest days of Gov’t Mule. The album pre-order is available now on iTunes, Apple Music, Amazon and as a special pre-order bundle on Mule.net. 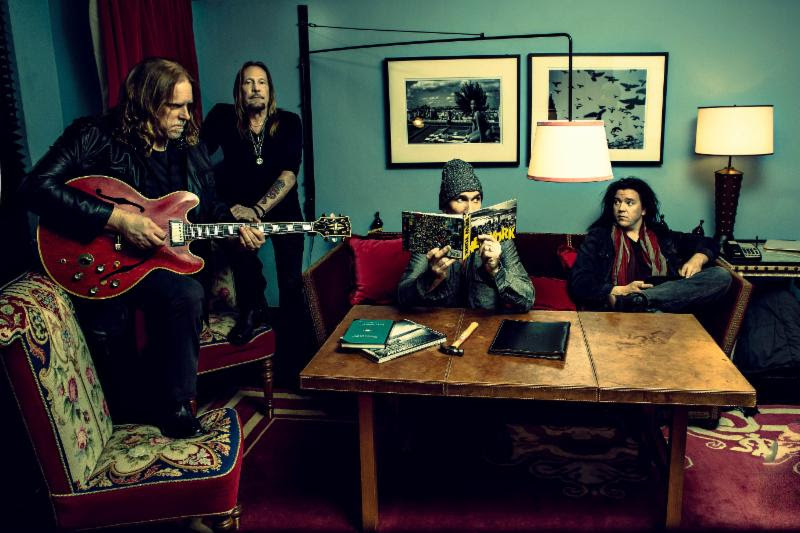 With a busy summer ahead, Gov’t Mule is currently on tour in the UK and Europe and will be heading back to the States to headline Mountain Jam in June. The festival, which is presented by Mule front man and guitar legend Warren Haynes, kicks off its twelfth year on Thursday, June 2nd. They will then set out on their Smokin’ Mule 2016 Tour with special guest Blackberry Smoke, which will include a stop at Colorado’s famed Red Rocks Amphitheater on August 25th. September 27 Birmingham, AL @ Avondale Brewing Co.
Fronted by visionary Grammy-winning artist and guitar legend, Warren Haynes, Gov’t Mule has showcased its virtuosity, intelligence and breadth for more than two decades, which have encompassed 15 studio and live albums, millions of album and track sales and thousands of performances. The flexible interplay in the studio and on stage amongst Warren Haynes, drummer Matt Abts, keyboardist Danny Louis and bassist Jorgen Carlsson provides the band’s sonic foundation and makes them a true living, breathing ensemble. Gov’t Mule has become a human encyclopedia of timeless American music while adding to that canon with their signature sound. ESMÉ PATTERSON’s “No River” is Beats 1’s “World Record” + an NPR “Songs We Love”!